Fall is here and, at this point in the season, it’s fun to start thinking about the new plants, colors, and textures for your containers so they will offer continued interest through fall, winter, and even into early spring. It’s the perfect time to get new foliage planted in the containers you would like to refresh so there can be nice root growth before frosts come. Usually, we’ll see frosts hit the PNW as early as the end of October. Start by cleaning up your summer containers to remove dead, diseased, or damaged foliage. Make sure you pull all of the old root balls of removed plants and have fresh potting soil ready to refresh the existing soil and to plant up new plants. Some of the more popular annual plants you can anticipate needing to remove from your summer container arrangements might be Million Bells, Geraniums, or Coleus. These plants won’t survive as temperatures drop. With these plants removed, you have the opportunity to rearrange the container, fill in the gaps, or store the container over the cooler months and display it again next year. Let’s go ahead and assume you want to keep things interesting and you would like to replant the container. 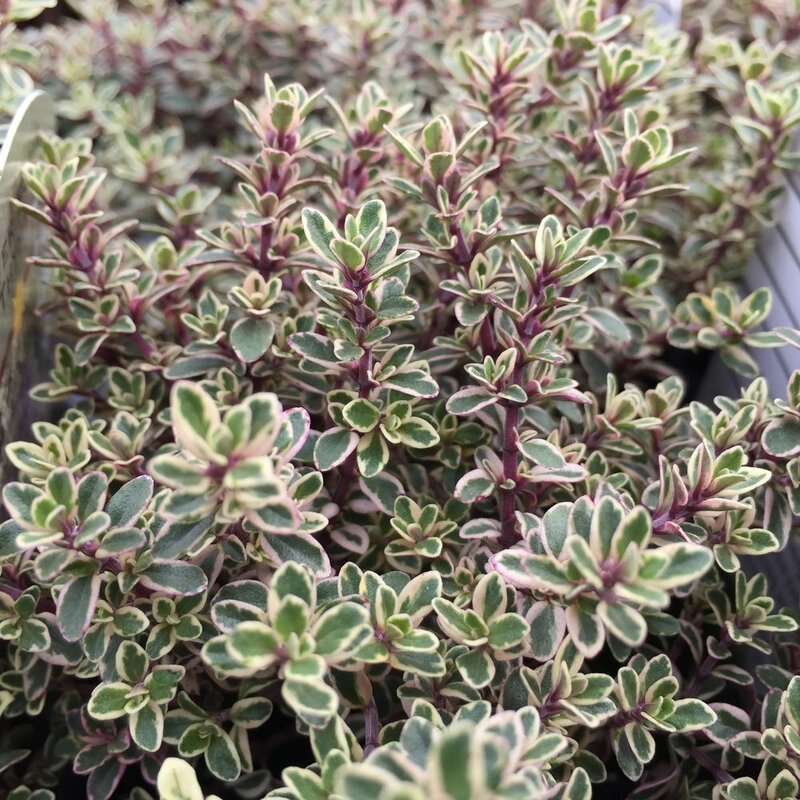 Perennial options can offer a lot of interest from fabulous foliage colors to attention-grabbing textures, though we have a few annual plants to suggest that you can plant up too! 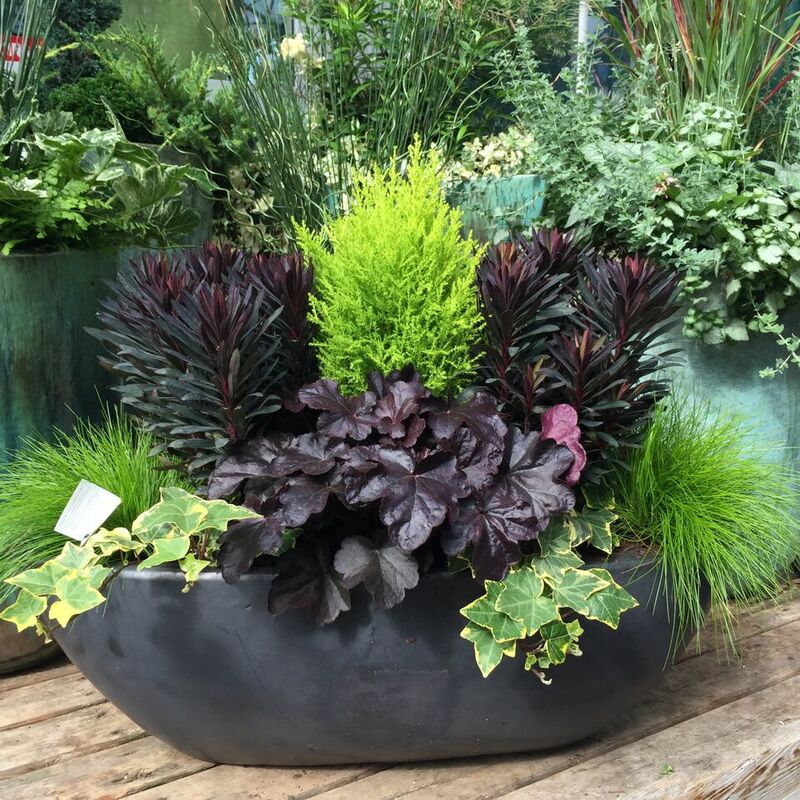 Kate, one of our annual plant experts, recommends planning your container arrangements for fall based on a warm or cool color palette. We love that idea, especially in combination with the container design method to create an interesting form, containing a thriller, filler, and spiller. For tips on thriller, filler, spiller container design, see this post for containers in sun, and this post for containers in shade. 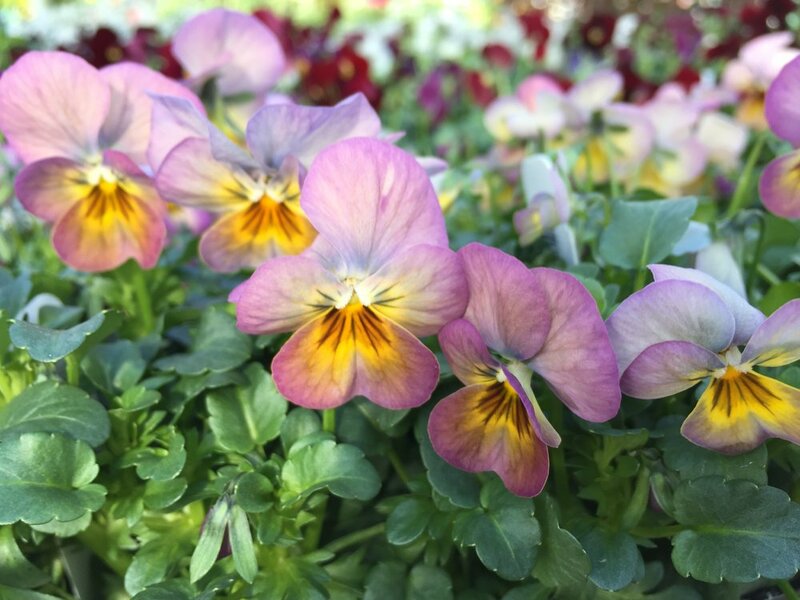 Rose-Colored Pansies and Violas – Viola spp. Purple Coral Bells – Heuchera cvs. Blue Pansies and Violas – Viola spp. Variegated Ajuga – Ajuga cvs. In mid- to late-spring, when you’re ready to plant up warm-season flowers again, the perennial plants you used in this container can be transplanted into the garden, given to friends, or composted if you don’t have the space. Some may even be able to stay in your container as accents. Daffodil – Narcissus spp. and cvs. Tulips – Tulip spp. and cvs. Remember to include bulb fertilizer at the time of planting to ensure your bulbs have all the nutrients they need to flourish. Tip: For a quick and easy container arrangement using bulbs, layer the bulbs you’re interested in per the instructions on the packaging, and then plant a carpet of color-coordinating pansies and violas on the surface. The bulbs will poke through in late winter to offer you early spring blooms! See more about this layered bulb container. Let us know if you’d like some personalized suggestions for your container design! You can reach out over social media using #heyswansons for advice or come in and talk to any one of our experts. We would love to help you create your container or even design and plant one for you! We're always happy to help you grow your garden! For more information on custom design services, click here.